With over 25 years of experience in audio signal processing, BSS Audio™ is firmly established as a best-in-class brand, designing and producing high quality, innovative audio processing equipment. Traditionally BSS Audio has been associated with analogue signal processors and to this day they remain some of the most respected and widely specified products in audio applications. BSS Audio set a new standard in loudspeaker control introducing the OMNIDRIVE™ loudspeaker management system which brought a number of analogue devices into one digital device. The current OMNIDRIVE product, the FDS-366T OMNIDRIVE COMPACT plus combines outstanding audio quality with unique features and ease of use. Building on the success of OMNIDRIVE, BSS Audio went on to develop Soundweb™ Original, a networked, programmable digital signal processing (DSP) system. 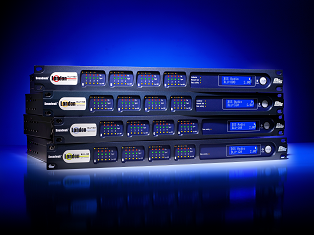 A building-block approach to complex system design and low cost cabling infrastructure for the transport of multiple audio channels enabled installation times and costs to be reduced. 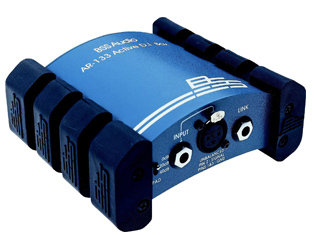 In September 2004 BSS Audio introduced Soundweb™ London, a new HiQnet™ compatible, networked, programmable DSP platform. Written from the ground up, HiQnet London Architect is the comprehensive design, control and monitoring software for the Soundweb London family of products, OMNIDRIVE COMPACT plus, MINIDRIVE™ and Crown PIP modules. An extensive array of control options for both Soundweb platforms allows user interfaces to be tailored towards individual skill levels and requirements. BSS Audio is now synonymous with digital signal processing and continues to innovate, providing feature enhancements for new and existing users through software and firmware upgrades. An excellent reputation for reliability has resulted in widespread adoption of BSS Audio products in hugely diverse, high profile and critical applications. BSS Audio is part of Harman International Industries Inc.